UL University recently released an excellent on-line training program based on this research. In addition to the on-line course, UL has published a comprehensive report on this important project: Impact of Ventilation on Fire Behavior in Legacy and Contemporary Residential Construction (Kerber, 2011). This series of posts will examine twelve tactical implications identified by UL in the research report and on-line course. As illustrated in Figure 1, the traditional fire development curve used to illustrate changes in heat release rate and temperature over time as a compartment fire develops shows ignition and the incipient stage of fire development followed by growth, a fully developed fire, and decay. While this is reasonably representative of combustion of a single fuel package under unconfined and well ventilated conditions, it often does not reflect the reality of today’s fire environment as illustrated by a near miss in Springfield, VA on January 22, 2011. Three firefighters from Fairfax County Fire Rescue were caught in flashover which occurred after initial firefighting operations were commenced in a two-story townhouse. On February 4, 2011, five firefighters in New Hyde Park, NY were caught by rapid fire progression while advancing a hoseline into a basement fire in a single family dwelling (more information here). These incidents point to the importance of a sound understanding of practical fire dynamics and the influence of ventilation on fire behavior. In the contemporary fire environment, fires progress from ignition and incipient stage into growth, but here is where things change. Instead of progressing through growth to the fully developed stage, fires often become ventilation controlled and begin to decay. 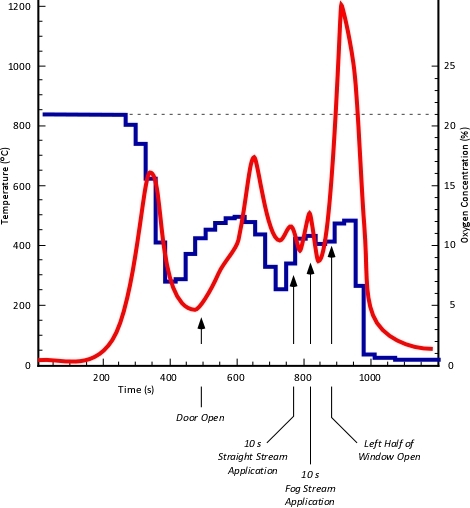 Decay continues until the ventilation profile changes (e.g., window failure due to fire effects, opening a door for entry or egress, or intentional creation of ventilation openings by firefighters. When ventilation is increased, heat release rate again rises and temperature climbs with the fire potentially transitioning through flashover to a the fully developed stage. That the energy released by combustion is related to the oxygen consumed in the reaction is not a new idea: “The door should be kept shut while the water is being brought, and the air excluded as much as possible, as the fire burns exactly in proportion to the quantity of air which it receives” (Braidwood, 1866, p. 64). For the time, James Braidwood, first Chief of the City of London Fire Brigade had a remarkable understanding of combustion. Despite this practical understanding of oxygen and release of energy through combustion, it wasn’t until 50 years later that this relationship was quantified. In 1917, British scientist W.M. Thornton discovered that while the heat of combustion of various types of organic (carbon based) fuel varies widely, the amount of oxygen required for release of a given amount of energy remains remarkably consistent (Thornton, 1917). While the heat release of 13.1 MJ/kg (13.1 kJ/g) of oxygen consumed during combustion is often referred to as Thornton’s Rule, discovery of this concept and quantification of this value under a variety of conditions was the work of a number of individuals. For example, in the 1970’s, researchers at the National Bureau of Standards (now the National Institute of Standards and Technology, NIST) independently discovered the same thing and extended this work to include many other types of organic materials and examined both complete and incomplete combustion (Parker, 1977; Huggett, 1980). Heat release during combustion is dependent on oxygen. However, the atmosphere is comprised of only 21% oxygen. Examining the relationship between consumption of atmospheric oxygen and energy release requires adaptation of Thornton’s Rule based on oxygen concentration. Multiplying 13.1 MJ/kg of oxygen by 21% gives a value of 2.751 MJ/kg of air. The Society of Fire Protection Engineering (SFPE) Handbook of Fire Protection Engineering (SFPE, 2002) rounds this value to 3.0 MJ/kg of air. While it is easy to understand that air has mass, it may be a bit more difficult to visualize a kilo of air! The density of dry air at sea level and at a temperature of 20o C is 1.2 kg/m3 (0.075 lbs./ft3). Air density decreases as temperature or moisture content of the air increases, but this provides a starting point for visualizing the relationship between volume and mass at normal temperature and pressure. As illustrated in Figure 1, multiplying the mass of a cubic meter of air (1.2 kg) by the energy released per unit mass of air (3.0 KJ/kg) provides an approximation of the energy released when the oxygen in one cubic meter of air is consumed in a combustion reaction. Oxygen to support energy release resulting from combustion occurring within a closed compartment is substantially (but not entirely) limited to the mass of air in the compartment. Normal air exchange between the interior and exterior of a building is expressed as the number of complete air exchanges (by volume) per hour and varies depending on the purpose and function of the space. In residential structures, the air in the building is completely exchanged approximately four times per hour. In commercial and industrial buildings this rate may be significantly higher, depending on use. Designed air exchange and leakage provide additional oxygen that can support ongoing combustion, but this is generally not a major factor in buildings where the windows and doors are closed and intact. Energy release as a result of combustion is directly proportional to the oxygen consumed in the reaction. However, when a fire is burning in an oxygen limited environment such as an enclosed space, not all of the oxygen can be used to support flaming combustion. As observed by Mowrer, “A diffusion flame immersed in a vitiated [oxygen limited] atmosphere will extinguish before consuming all the available oxygen from the atmosphere” (McGrattan, Hostikka, Floyd, Baum, & Rehm, 2008, p. 85). As oxygen within a compartment is consumed, fire growth becomes limited by ventilation (inclusive of the air within the compartment at ignition and the ongoing air exchange). Ventilation becomes the dominant factor in fire development when the oxygen concentration is between 14 and 16 %. As temperature increases, the oxygen concentration required to support flaming combustion decreases. 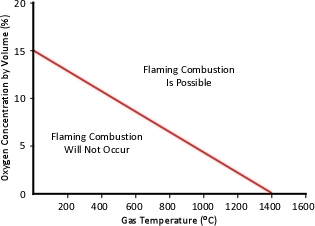 Figure 3 illustrates the relationship between gas temperature and the concentration of oxygen required to support flaming combustion. Keeping in mind that temperature within involved and adjacent compartments can vary considerably, flaming combustion may be possible in some areas and not in others. Note: Adapted from Fire Dynamics Simulator (Version 5) Technical Reference Guide (p. 25), by K. McGrattan, S. Hostikka, J. Floyd, H Baum, & R. Rehm, 2008, National Institute of Standards and Technology. Oxygen concentration required to support flaming combustion varies over a wide range based on temperature. 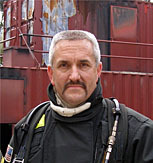 However, in examining fire development in a single compartment or a residential structure, it is reasonable to use the value of 10.5% as the concentration required to support flaming combustion based on the fairly consistent temperatures of between 500o C and 600o C developed prior to ventilation (window failure, opening a door for access, or tactical ventilation operations). This assumption is based on analysis of the data from full scale residential fire tests conducted by Underwriters Laboratories in representative legacy and contemporary structures (Kerber, 2011). A fire in a single, small compartment with no openings (window and door closed) provides a simple example of the impact of limited oxygen on fire development. To estimate the potential for development of a ventilation limited conditions, the available oxygen must be compared to the oxygen that would likely be consumed during combustion of typical contents. As illustrated in Figure 4, a 3 m x 4 m x 2.44 m (9’ 10” x 13’ 1” x 8’) compartment contains 30 m3 (1059.44 ft3) of air. Given the oxygen concentration required for flaming combustion under conditions typically encountered in a developing fire (10.5 % O2 at a temperature of 600o C), half of this volume, 15 m3 (529.72 ft3) would be available to support flaming combustion in a rapidly developing fire. Multiplying 15 m3 x 3.6 MJ/m3 of dry air indicates that the total energy release before flaming combustion is substantially reduced or ceases is approximately 46.8 MJ. 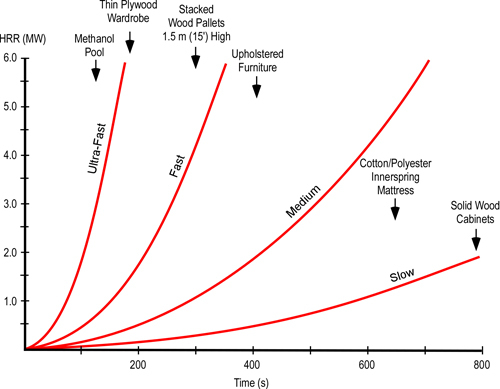 A single wood and polyurethane upholstered chair (such as a recliner) is likely to have a heat of combustion of approximately 18 MJ/kg and have a mass of 28 kg (Bukowski, 1985). Multiplying the heat of combustion by the mass identifies the total potential energy of this single fuel package as being approximately 504 MJ, well in excess of the potential energy release provided by the oxygen available in the 3 m x 4 m x 2.44 m (9’ 10” x 13’ 1” x 8’) compartment. While a single fuel package such as an upholstered chair provides sufficient fuel to develop a ventilation limited fire, the fuel load in a normal residential compartment is likely to be substantially greater. International Fire Engineering Guidelines indicate the 95% fractile fuel load for dwellings may be estimated as 970 MJ/m2 (95% of dwellings will have a value at or below this level) (Bukowski, 2006). Multiplying the compartment floor area 12 m2 by 970 MJ/m2 provides an estimated total fuel load of 11,640 MJ. This indicates that there is far less atmospheric oxygen in the compartment than required to fully oxidize the likely fuel load. Joules are a measure of energy, in this case a measure of total energy released by the combustion reaction. This is important, but even more important is the energy released per unit of time or heat release rate (HRR). Some fires develop slowly, consuming oxygen at a correspondingly slow rate. However, as illustrated in Figure 3 fires involving many contemporary furnishings develop quite quickly. At a HRR of 0.5 MW (500 kW), a fire in the 3 m x 4 m x 2.44 m (9’ 10” x 13’ 1” x 8’) compartment illustrated in Figure 4, would become ventilation limited to the point where flaming combustion would be significantly diminished or cease in less than two minutes. As the fire develops and HRR increases, the time for the fire to become ventilation controlled and enter the decay stage becomes considerably less. Calculation of the energy release or time to become ventilation controlled and enter the decay stage based on the volume of the room does not account for normal building ventilation (exchange of the atmosphere inside the building with that on the outside). With an exchange of four times per hour, the 3 m x 4 m x 2.44 m (9’ 10” x 13’ 1” x 8’) compartment containing 30 m3 (1059.44 ft3) of air would have an air exchange rate of 0.033 m3/s (1.65 ft3/s). Multiplying the 0.033 m3 of air exchanged per second by 3.6 MJ/m3 (of dry air) indicates that the normal air exchange would support an ongoing HRR of 118.8 kW (roughly the same peak heat release rate as combustion of a small trash can). Important: Rapid transition from growth to decay stage is dependent on ventilation being limited to normal building air exchange with the door and windows in the compartment remaining closed and intact. Should the door be open, windows fail, or a combination of both, the fire may become ventilation limited, but continue in the growth stage and potentially transition through flashover to a fully developed fire. 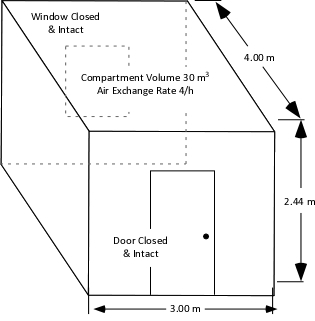 Examination of fire development in a single, closed compartment provides a simple illustration of how compartment fire development is influenced by compartment volume and normal building ventilation. However, firefighters most commonly encounter fires in buildings comprised of multiple, interconnected compartments. Interior doors (particularly in residential occupancies) are frequently open, providing additional atmospheric oxygen for fire development and a pathway for smoke and fire travel from the compartment of origin into adjacent compartments. In order to assess the potential for development of a ventilation limited, decay stage fire in the residential structures used in the UL experiments on the Impact of Ventilation on Fire Behavior in Legacy and Contemporary Residential Construction, researchers conducted a series of heat release rate experiment using a 5.49 m x 3.96 m x 2.44 m (18’ x 13’ x 8’) compartment, similar to the living rooms in the experimental houses. The opening in the front of the room was 3.66 m x 2.13 m (12’ x 7’) simulating the interconnection between the living room and other areas of the experimental houses. During the HRR experiment, 3647.01 MJ of thermal energy was released over the 19 minute experiment with 2268.44 MJ released in the first 10 minutes after ignition. The total atmospheric oxygen in the single-story legacy dwelling was sufficient to support release of 846.2 MJ of thermal energy if it was completely consumed. If, as in our single compartment example, the fire becomes ventilation limited at an oxygen concentration of 10.5%, a fire in this dwelling would become ventilation limited after a release of just over 423 MJ of thermal energy. To put this in perspective in relation to HRR, in the UL living room fuel package tests, HRR reached 1 MW within 4 minutes 30 seconds and 10 MW in 5 minutes 30 seconds (Kerber, 2011). The full-scale burns in the single-story, legacy dwelling in Experiments 1 and 3 in UL’s research provide a graphic example of the influence of ventilation on fire behavior fire development and burning regime. Experiments 1 and 3 were conducted in the one-story 111.48 m2 (1200 ft2) ranch house (see Figure 6). While the floor plan was of legacy design, the dwelling was furnished with contemporary contents including furnishings, carpet, and carpet pad. In each of the experiments conducted in this structure the fire was located in the Living Room. The only major variable was the location, sequence, and total area of horizontal ventilation openings provided. There was also variation in water application method (straight versus fog stream), but this was not the primary research focus. The living room was furnished with two sofas, armoire, television, end table, coffee table, two pictures, lamp with shade, and two curtains. The floor was covered with polyurethane foam padding and polyester carpet. Additional detail on the fuel load used during these experiments (e.g., bedrooms, kitchen, and dining room) is provided in UL’ research report Impact of Ventilation on Fire Behavior in Legacy and Contemporary Residential Construction (Kerber, 2011). All of the experiments began with the windows and exterior door closed and all of the interior doors in the same position (open with the exception of the door to Bedroom 3 which was closed during all experiments). 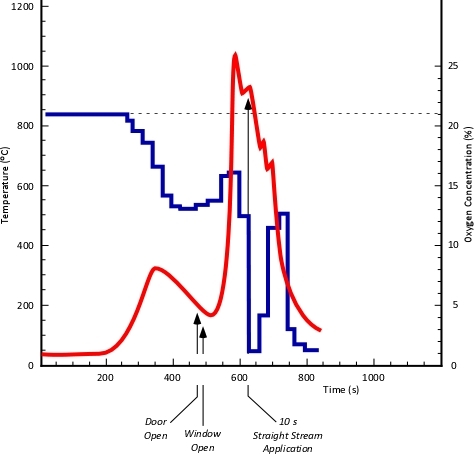 This ventilation profile remained constant until eight minutes (8:00) into the experiment at which point tactical ventilation was initiated. This timeframe was based on three factors: time to achieve ventilation limited conditions, potential fire service response and intervention time, and potential window failure time. After ventilation, fire development was allowed to progress to flashover or perceived maximum burning rate (based on temperature readings and observation of exterior and interior conditions). At the conclusion of each experiment, a hand held hose stream was applied through a ventilation opening for 10 seconds. Two patterns were used, a straight stream and a 30o fog pattern positioned upward 30o to 40o from horizontal (e.g., directed towards the ceiling). The purpose of this manual water application was not to extinguish the fire completely, but to control flaming combustion in the upper layer and determine the impact of this type of water application on conditions in adjacent rooms. After manual water application with the hoseline, sprinklers were manually activated to complete the extinguishment process. Experiment 1: This experiment was designed to simulate firefighters making entry through the front door by opening the front door eight minutes after ignition. No other ventilation openings were made in the time between opening the door and manual fire suppression with a hoseline. After manual fire suppression, the right half of the window in the living room (fire compartment) was opened. Figure 7 illustrates the temperature and oxygen concentration at 1.24 (5’) meters above the floor throughout Experiment 1. What can be learned by examining the relationship between the temperature and oxygen concentration? Experiment 3: This experiment was designed to simulate firefighters making entry through the front door and having a ventilation opening made shortly after near the seat of the fire. In this experiment the front door was opened eight minutes after ignition and the living room window was opened 15 seconds later. At the conclusion of the experiment, water from a hoseline was applied through the living room window for 10 seconds prior to manual activation of the sprinkler system. Figure 8 illustrates the temperature and oxygen concentration at 1.24 (5’) meters above the floor throughout Experiment 3. In what ways is this similar to the relationship of oxygen concentration and temperature in Experiment 1? In what ways is it different? What can be learned by comparing the results of these two experiments? The UL research report, Impact of Ventilation on Fire Behavior in Legacy and Contemporary Residential Construction (Kerber, 2011) identifies stages of fire development as an important tactical consideration. The following key points, expand on this important tactical consideration. These key points do not mean that (planned, systematic, and coordinated) tactical ventilation is inappropriate. Simply that firefighters and fire officers must recognize the potential for a rapid increase in HRR when additional atmospheric oxygen is provided to ventilation controlled fires. This necessitates anticipating unplanned ventilation as a result of fire effects and close coordination of fire attack and tactical ventilation operations. This is the foundation for many of the other tactical considerations identified in the UL’s on-line training program and research report, Impact of Ventilation on Fire Behavior in Legacy and Contemporary Residential Construction (Kerber, 2011). Any opening that introduces air or allows smoke to escape is a ventilation opening! Often, the most significant ventilation opening during initial operations is the door through which firefighters make entry. The next post in this series will examine tactical consideration of the entry point as a ventilation opening. Bukowski, R. (1985) Evaluation of furniture fire hazard using a hazard assessment computer model. Retrieved February 4, 2011 from http://fire.nist.gov/bfrlpubs/fire85/PDF/f85007.pdf. Kerber, S. (2011). 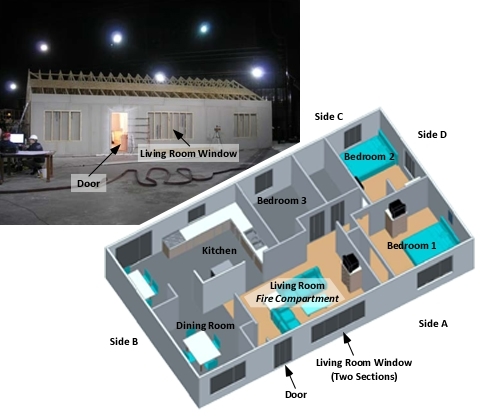 Impact of ventilation on fire behavior in legacy and contemporary residential construction. Retrieved January 20, 2011 from http://www.ul.com/global/documents/offerings/industries/buildingmaterials/fireservice/ventilation/DHS%202008%20Grant%20Report%20Final.pdf. Society of Fire Protection Engineers (SFPE). (2002). The SFPE handbook of fire protection engineering. Quincy, MA: National Fire Protection Association.